As usual, we were not up at the crack of dawn. 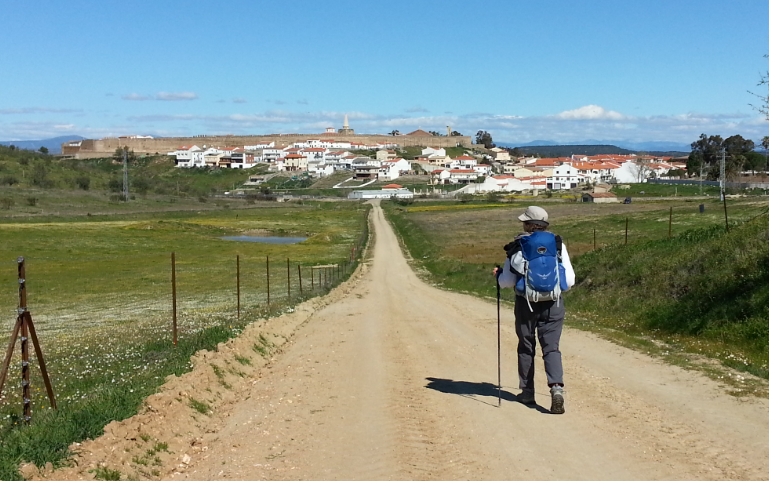 Our host, Nacho, bustled about full of energy and efficiency and gave us lots of information about the Extemadura part of the Camino. At about 10 a.m., we hopped into his vehicle, he drove us 2 km to the point where the newly positioned trail crosses the highway, we all kissed, and waved adios. He moves so fast I never got a photo. He also speaks Spanish fast but enunciates clearly so I could understand most of it. 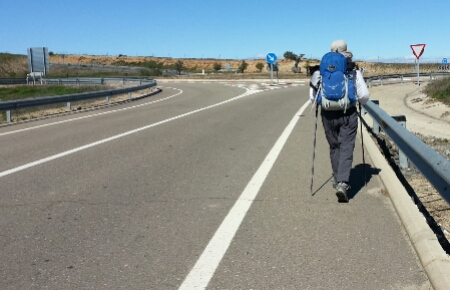 Nacho runs the tourist park/ campground in Riolobos as well as the albergue in Galisteo, and will gives free transport from Riolobos to Galisteo He has been very active in getting various groups to cooperate in maintaining and supporting the camino. He regularly walks and cycles local sections and also takes mountain bikers into the hills. He is the “Nacho” on the top left of the first page below. 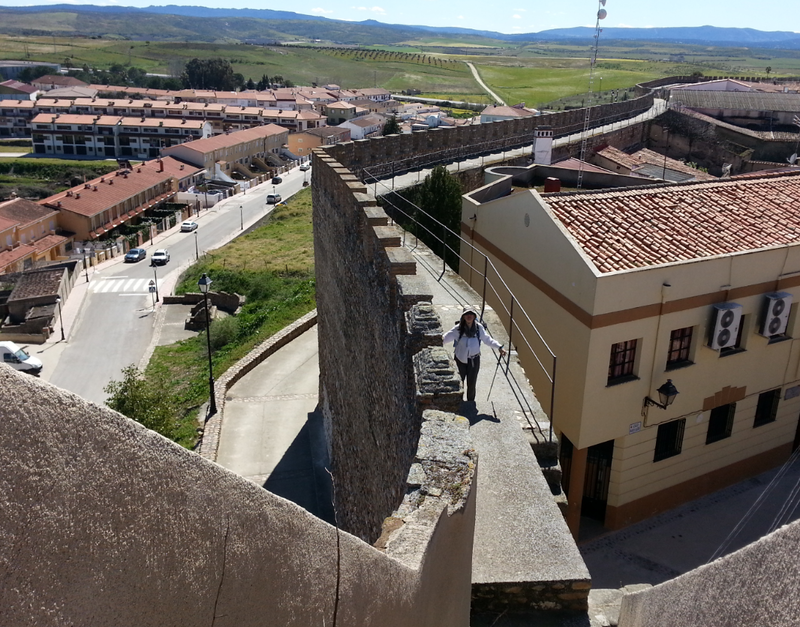 Today was highlighted by a walk around the walled city of Galisteo. Definitely where I’ll stay next time! The exit from Galisteo is a bit confusing. 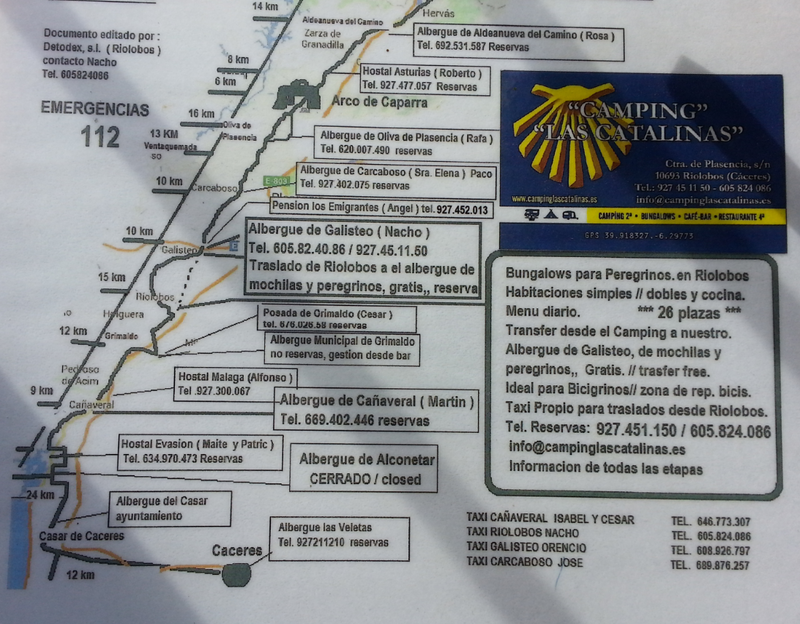 Ignore the black-and-white “camino” signs at the roundabout and follow the road signs to Carcaboso. 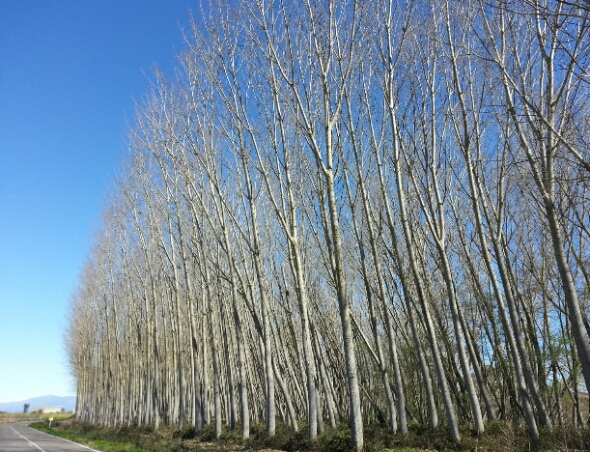 The weather is beautiful but crisp these days. Lows are about 2°C in the early morning and up to 14-15 in the afternoon, but winds are often chilly. I use my fleece and down vest every evening, and often sleep with the vest. We haven’t use our sleeping bags yet as bedding has been provided where we’ve stayed. Spring is here but not too advanced, so MB’s allergies haven’t started up.